bare PCB for rusEfi to be used with an old 64 Mazda ECU case. 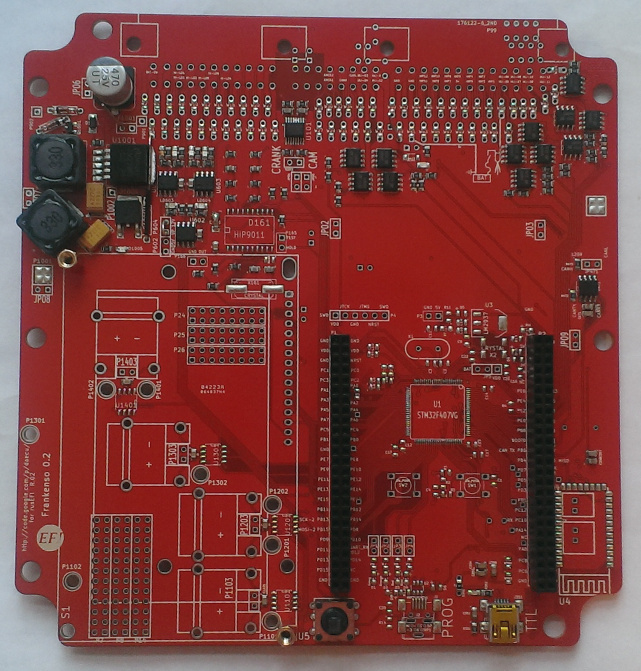 These four layer boards are larger then the two layer Frankenstein boards, with these one has an option to solder an stm32f4 chip right on the board. Last edited by russian on Sun Jan 25, 2015 1:50 am, edited 2 times in total. Interesting... is that the same ECU connector as 90's Mitsubishi/Toyota? 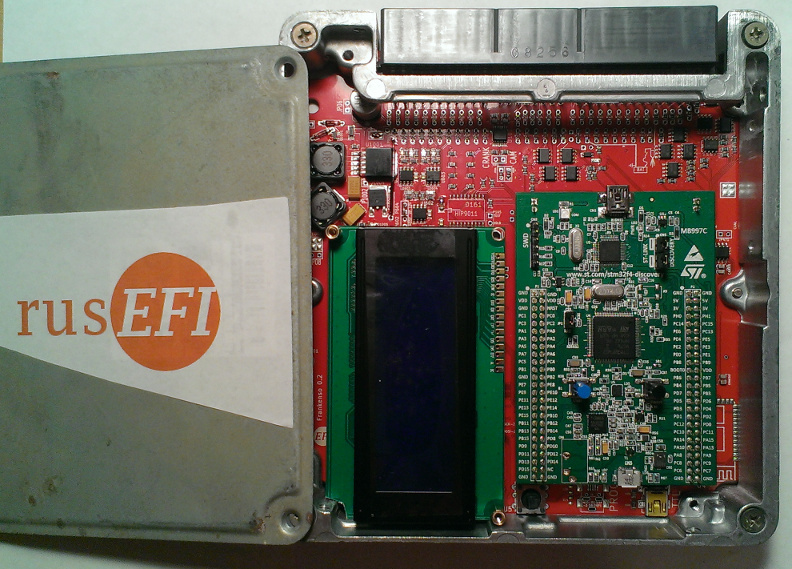 Denso OEM ECU case? Yes, same 64 pin connector as 90's Mitsubishi/Toyota/Honda/Mazda. Yep, Denso OEM case from a Mazda 323/Protege/Miata. 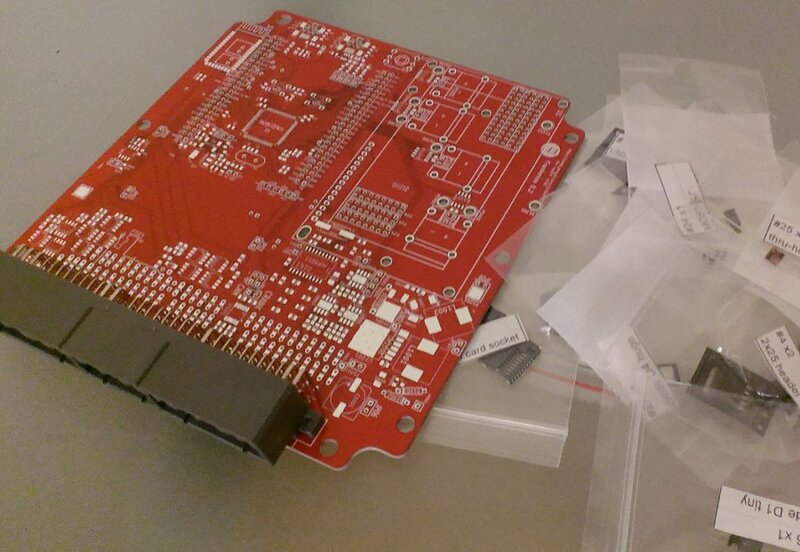 Second batch of assembled version 0.4 has arrived. Note larger proto area and two extra low current drivers. 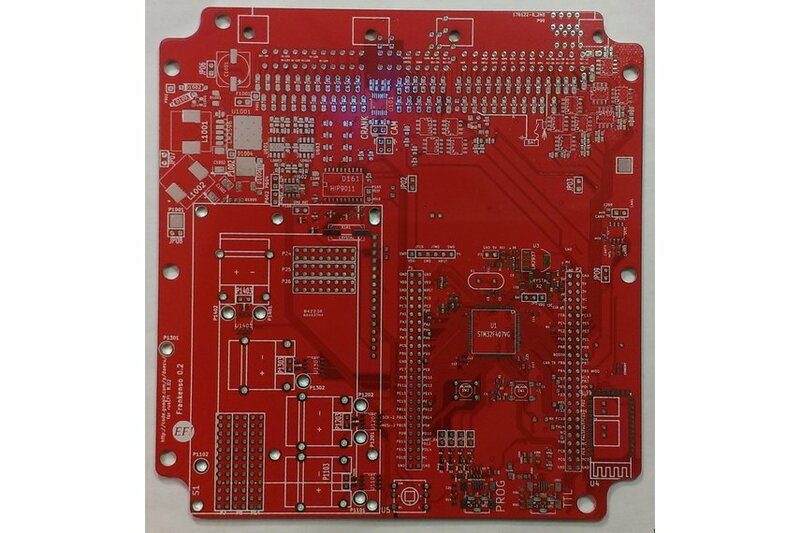 New batch of same exact Frankenso 0.4 has arrived - boards are back in stock. first batch of Frankenso version 0.5!